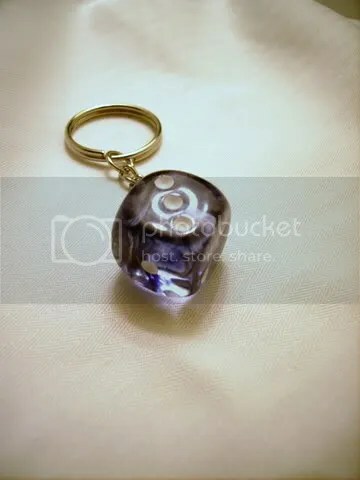 This keyring is from a collection I have up for sale and was made from a single standard-sized mysterious Black Nebula six-sided die with white pips. The stormy, smoky swirls within the die lend it a mysterious aura that almost seem as though they move and respond with your touch. This particular pair of earrings are from a collection we have up for sale and is also part of my new Candy ear stud collection. 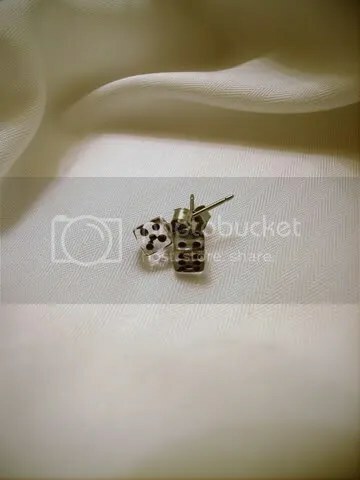 These were made from a pair of tiny 5mm transparent clear white six-sided dice with white pips. This particular pair of earrings are from a collection we have up for sale and is also part of my new Candy ear stud collection. 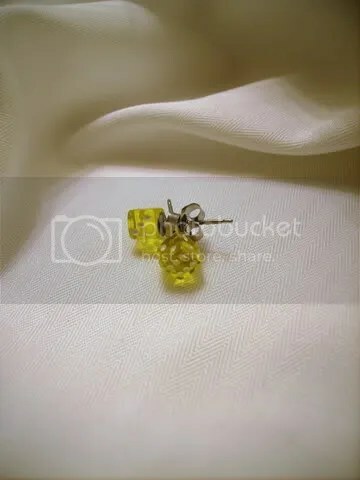 These were made from a pair of tiny 5mm transparent yellow six-sided dice with white pips. This particular pair of earrings are from a collection we have up for sale and is also part of my new Candy ear stud collection. 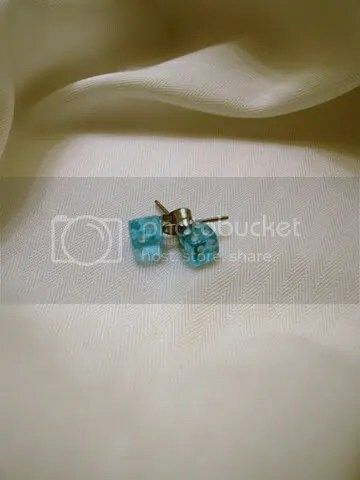 These were made from a pair of tiny 5mm transparent aqua six-sided dice with white pips. This particular pair of earrings are from a collection we have up for sale and is also part of my new Candy ear stud collection. 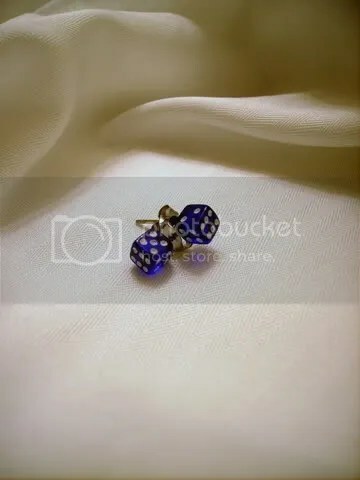 These were made from a pair of tiny 5mm transparent blue six-sided dice with white pips. This particular pair of earrings are from a collection we have up for sale and is also part of my new Candy ear stud collection. 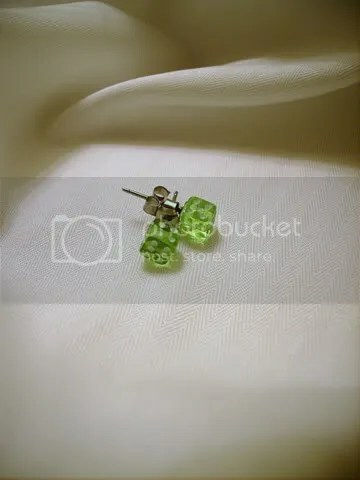 These were made from a pair of tiny 5mm transparent lime six-sided dice with white pips. This particular pair of earrings are from a collection we have up for sale and is also part of my new Candy ear stud collection. 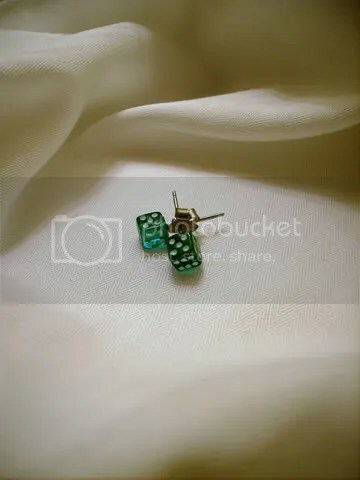 These were made from a pair of tiny 5mm transparent green six-sided dice with white pips.